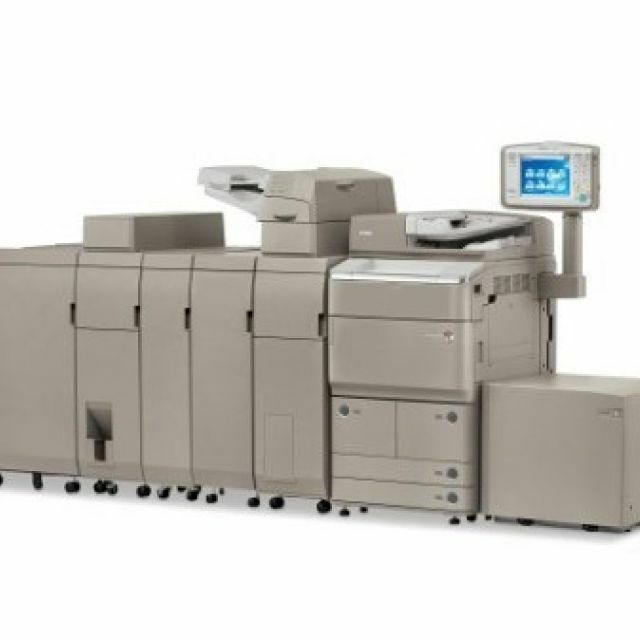 With outstanding speed and efficiency, the imageRUNNER ADVANCE 8085 model meets the needs high volume offices and light production environments. Engineered for high-volume traffic, this digital monochrome model rapidly scans, prints, copies, faxes and distributes documents with precision and ease. Advanced management tools and multiple advanced in-line finishing options help produce professional documents with ease. The imageRUNNER ADVANCE 8085 model features a range of collaboration tools, streamlined one-step operations for complicated tasks, and the power to perform multiple jobs concurrently. The imageRUNNER ADVANCE 8085 model delivers output speeds of up to 85 ppm in black-and-white, single pass duplex scanning at speeds of up to 200 ipm (duplex, 300dpi, black-and-white). Offering standard Color Universal Send, UFR II Printing, and a range of paper handling and finishing options, with the imageRUNNER ADVANCE 8085 model, there's a dramatically better way to work. With its brilliant image quality, exceptional productivity, flexible versatility, and streamlined workflow capabilities, the imageRUNNER ADVANCE 8085 promises a brilliant future for digital print production. Standard large upright "Tilt and Swivel" control panel that provides easy viewing and allows users to adjust the UI to a comfortable position. True 1200 x 1200 dpi print resolution produces fine lines and crisp text, even at small font sizes. Documents are output at an amazing speed of up to 85ppm in black-and-white for exceptional productivity. 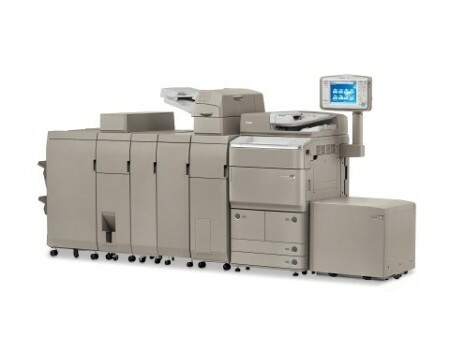 Rapidly convert paper documents to digital files with the 300-sheet capacity, ultra-fast single-pass duplex document feeder with color scanning support at speeds of up to 200 ipm (duplex, black-and-white, 300 dpi) with color scanning support. Advanced paper handling and multiple finishing capabilities handle a wide range of jobs efficiently and cost effectively. Print on stocks in weights from 14lb Bond to 140lb. Index (256gsm) and sheet sizes from 4" x 5-7/8" to 13" x 19". uniFLOW Output Manager software offers features such as the digital job ticket, which allows you to define properties for complex documents, shortening turnaround times, and the ability to analyze the central print queue for optimal job placement.